We’ve had a first look at Panasonic’s IDTV’s with built in Freesat and a little time with the new EPG it boasts as well. 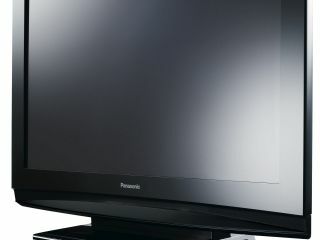 The Panasonic Viera TH42PZ81 was the television we got to look at, which is available along with a 46inch version in June and a 50inch version hitting the UK in July. The panel itself is everything you would expect from a Panasonic; nice contrast (1,000,000:1 dynamic contrast ratio), good colour depth and nice looking to boot. It also boasts Intelligent Frame Creation System, a Freeview Tuner, V-Real Pro 3 Processor, 24p real cinema which should allow Blu-ray films to look pretty nifty and Dolby 5.1 for six channel surround sound audio. Indeed BBC’s HD channel looked fabulous, as you might expect from this 1080p wonder, but the SD output from the Freesat tuner looked no better than what you would get from Freeview to the naked eye – with all the tearing and artefacts you know and loathe. Moving onto the EPG, which is standardised across all products bearing the Freesat logo. It's certainly pretty, if not mindblowingly different from any other mainstream EPGs. The channels – 80 at launch with the promise of 200 by the end of the year - are organised in genre which should help navigation for the broad market that Freesat is hoping to win over. Some of the benefits of the satellite signal are quickly apparent with one touch subtitles looking great and the BBC teletext service running like a dream. We saw all three of the larger panels up and running and we were also told by a Panasonic representative that 32inch and 37inch versions would be arriving in October.